Andaluz won BOB today and is now K.B.W.C. 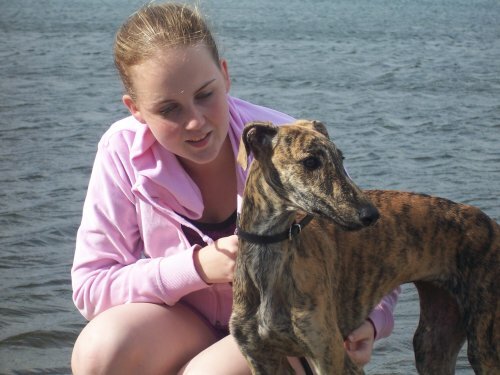 winner 2009! Thank you to the judge Mrs. Delabelle! 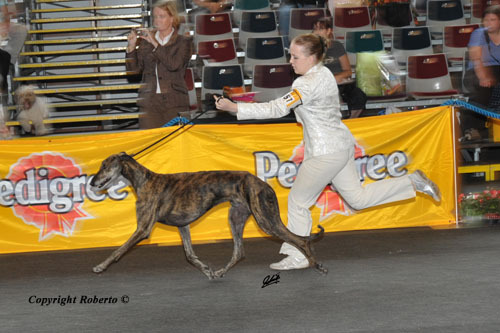 Andaluz was 3rd BOG at Bundessieger Dortmund!!! 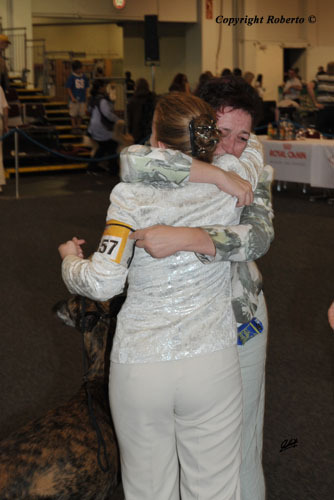 Thank you to the breedjudge Mrs. Peschges & the groupjudge Mrs. Heine! Andaluz finished his slowakian champion. 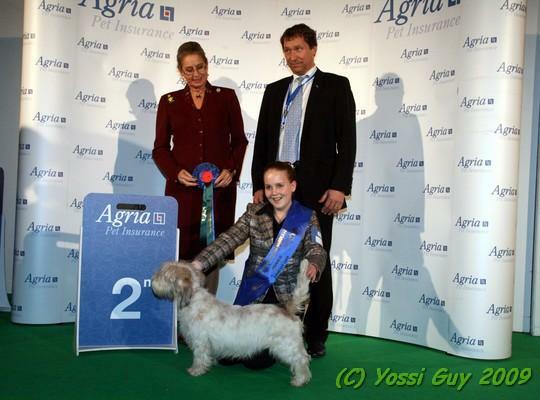 Andaluz won BOB at international show Maastricht. Lola had her first show! She won BOB baby! Andaluz was BIG 3 today! 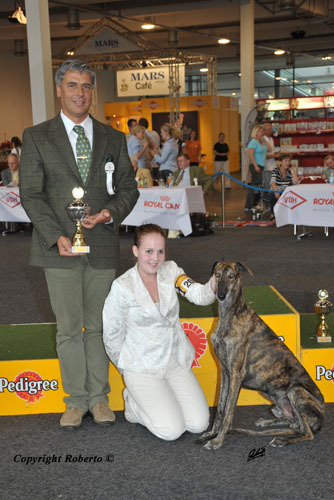 We would like to thank the breed & group judge Mr. Van Iersel (NL)! 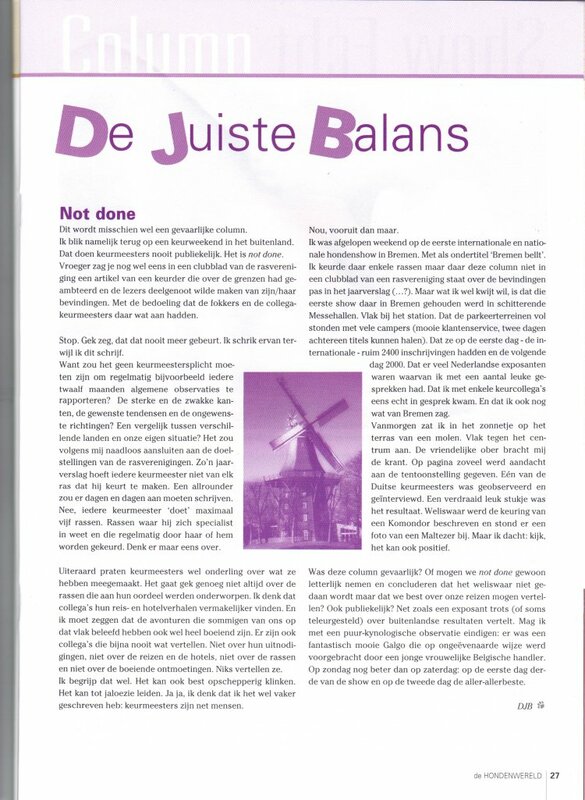 I was pleasant surprised to read this article in "hondenwereld" a Dutch magazine. We are very happy to welcome Lola!!! Welcome home!!! Garbosa was BOB in the rain!!! 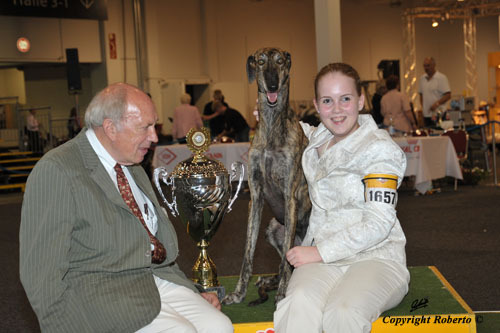 and is now Danish Champion! Today was even better like yesterday!!! Andaluz won BEST IN SHOW!!! 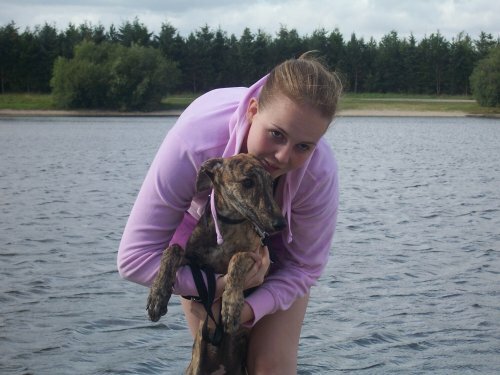 over 2400 dogs!!! 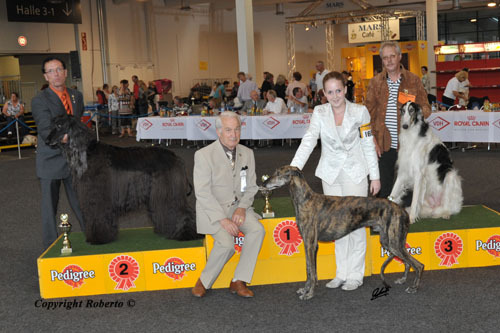 Thank you to the breedjudge, Mr. Langer (GER), the Groupjudge, Mr. Deutscher (A) and the BIS-judge Mr. Fisher (GER). You gave us something we didn't dare to dream of! Andaluz won BIG and BIS-3!!! 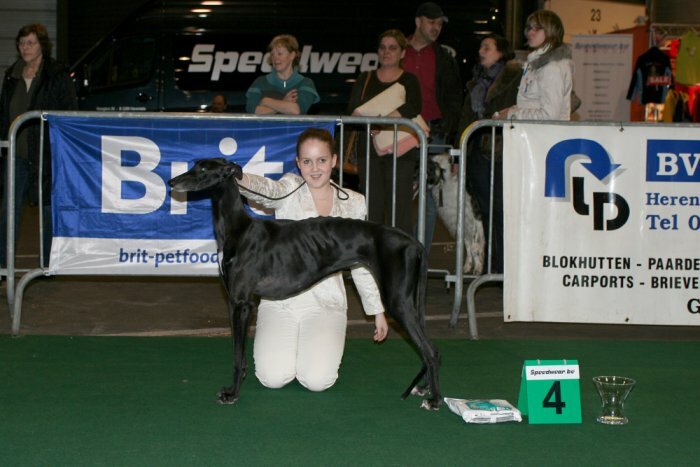 Andaluz won 2nd BIG at the international show in Saarbrücken!!! and fly again with Andaluz true the ring!!! 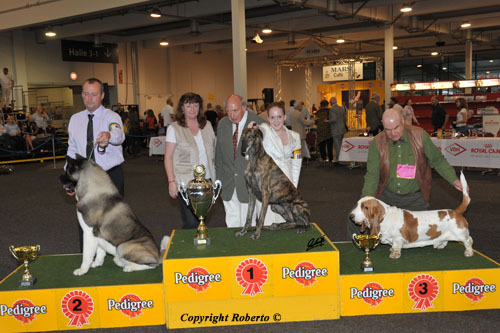 Thank you to the breedjudge Mrs. Wagner (L) and the groupjudge Mr. Levente (H)!! Garbosa won BOB and was picked out in the group with 5 but again just one was being placed. 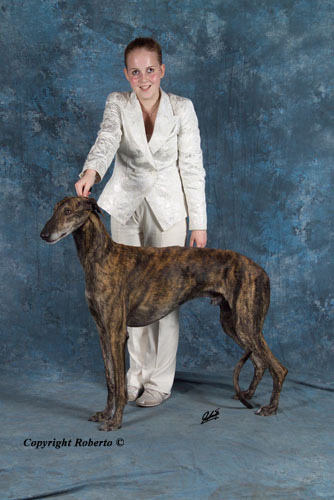 Andaluz was Best Male, with cac and cacib. Andaluz won BOB and is now Monaco Champion! He was picked out in the group with 5, but only one was placed. Garbosa was Best Female, with cac and cacib. Andaluz won Best Male and is now Dutch Champion!!! Many thanks to the judge, Mrs. Sweigart (USA)! Thank you Mr. & Mrs. Reid to let me handle this beautiful dog!!! Garbosa BIG 4!!! 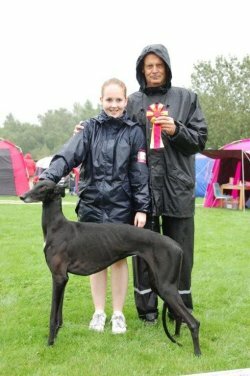 Many thanks to breedjudge Mr. Van den Broeck(NL) & Groupjudge Mrs. Reyniers!!! !